Jumping Genres: Ever pick up a book from a genre you usually don’t like and LOVE it? Tell us about it and why you picked it up in the first place. Well, it's rare if I ever venture out and read outside of what I normally read. But if I do, I won't like it as much as I like the books that I do tend to read... But, for the sake of this question.. 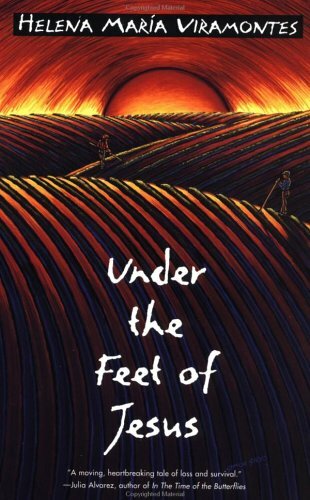 I was assigned a book to read my sophomore year in high school, which was Under the Feet of Jesus by Helena Maria Viramontes. This was one of the books that was on the mandatory summer reading list and that's the book I chose and by the time I was finished with it, I was like "wow... that was pretty good" Needless to say that I aced that test when I went to English class that first day of school. 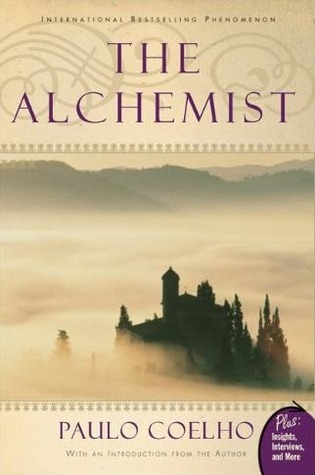 Another book that I've read that I've enjoyed (that was also required by the school) was The Alchemist by Paulo Coelho. This book I read my freshman year in college and again, by the time I was done reading it, I couldn't help but like it and the message it delivered. Other than these two books, you will never catch me reading outside of my genre's preferred. Have you ever picked up a book from a genre you usually don't like and love it? I haven't heard of either book but they sounds interesting. New Follower! I've heard of the Alchemist but I haven't exactly thought about reading it. Maybe It'll end up on my TBR list now. As for me "Kafka on the Shore" by Haruki Murakami was the one that surprised me! Hopping through. I've always meant to read The Alchemist. It's one of the classics that intrigues me. It was a pretty good book :) I enjoyed it. Thanks for stopping by! Haven't heard of either but will definitely check them out. Hopping through.